Yolanda Renee is living her dreams and blazing a trial of which she and her family can be proud. The past year has been a whirlwind of events, including major milestones such as a billboard feature with a major natural hair brand and the successful launch of a new children’s book. Yolanda is leveraging her skills as an artist and quickly building a brand that caters to naturalistsas and fashionistas. I am my own brand. I’ve spent the past few months (April 2013 until now) building a brand around myself as a graphic designer, natural hair (style) guru, fashion blogger, vlogger, clothing designer, and (recently added) author! I just released my first book of many to come, Curlies Color Too, which is sold in my own store and on Amazon! When my sister and I were really young, I used to draw her illustrations and act them out, tell a story to her. She loved it. And even though we are both grown ups right now, I bet she would still love that. I remember how it made her feel. So I started doing the same for my girls, Taylor & Skylar! They enjoy it so much…even more than watching TV or reading a published book. So one day, I started drawing these characters for them for that reason. After I had a few of them completed, I couldn’t stop. I wanted other little girls to enjoy these illustrations like my girls, especially since there aren’t many children’s books featuring little black girls. I immediately started researching how to publish a book. I really got help from an author, Sherry Boadie, who told me how she got started. I want to thank her for giving me the insights and information she shared when we spoke. She has a book out called “Curly’s Fun With Bubbles”. Armed with info from Sherry, I got to work on my book. 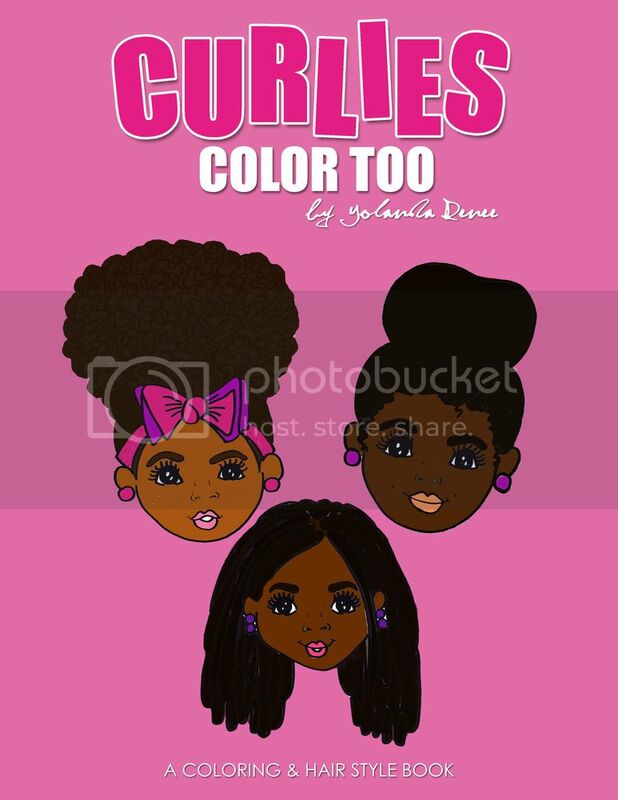 My goal with the coloring book was to help our young girls love their hair and themselves. But as parents, our role as story tellers and reading companions is important too- so I used some of the pages to pour my words out to touch parents about the importance of our role in helping our girls to love themselves starting with natural hair! Once I knew I was making the original illustrations into a book, it took me only a day to do the additional illustrations especially because they are sketches. The writing took another day. The proofing part of the process takes the longest! It took a few weeks to have a final book! You know – spelling errors, picture quality issues, adding pages, etc. Overall, less than a month! If I could have focused solely on Curlies Color Too, it would have been quicker. I have so many other projects that I have to prioritize as well. What was your motivation for doing the book? Was the book inspired by anyone in particular? It was definitely inspired by my girls, Taylor and Skylar! My sister, Mya, too! And honestly, the natural hair community had a huge part in this project. When I saw their reactions to the initial sketches that I posted on IG it fueled my fire! That’s why I love IG…I post a lot of inspirational pictures. The reaction and feedback I get back is what helps me stay motivated. I want to thank everyone from the bottom of my heart for the inspiration. What is your favorite page in the book? My favorite page is the illustration with a little girl with “locs”! The sad part is I had a reader contact me via email about that page. She told me that people who have locs absolutely hate when people call their “locs” “dreads”. I labeled that page “dreads”. I didn’t know! Lol. I’m still newly natural myself. I big chopped in May 2012! I’m still learning and because I don’t have much knowledge of locs, I really had no idea the term “dreads” was bad! I’m sorry if I offended anyone. But it honestly is my fav page in the book because the illustration is so cute. I wish she could be a doll! Lol! In our community, dreads, I mean locs, aren’t really for young children. To me, age shouldn’t matter. So that was my way of showing my readers it should be ok. I’m thinking about allowing Skylar to have locs! Lol. What is the book about ? How would you describe it in 3-4 sentences or less? The book is simply about self love starting with loving our natural hair. It’s for “Mommy & Me” because it gives tips and motivation for parents to help their children love themselves. But it also reaches the children with coloring pages, activities, and hairstyles that teach them about their hair and early learning- shapes, colors, numbers, etc. It serves as a resource for parents that includes hairstyles, a product list, a hair regimen and more! Yes! My girls are Taylor (age 5) and Skylar (age 3)! They are actually a part of my YouTube channel…and let me tell you they “love their frizzy hair!” I hear about it on a daily basis! Lol. How did your children respond to the book? They love it. Especially, Taylor who is the oldest. She is a very intelligent child! It’s almost scary! Lol. So her being able to see each step in the process of making a book fascinates her! When I got the first shipment in of the completed book they immediately pulled out their markers and crayons. I watched their reaction and they really enjoyed the activities and coloring. They even picked out which character was them! That really made me smile knowing they wanted to be like the little curlie girls in my book! There seems to be a culture of people sharing child photos online. What are your thoughts on that? Is it ok to do? At first like any protective parent, you think it’s a bad idea. But as a blogger/vlogger, I’ve opened up my home for my YouTube channel and social networks. My curls know Taylor and Skylar like they do me! They see pics, videos, status updates and more about me and my little bears! Lol. Social media is front and center even for those who are not bloggers/vloggers. So I think times have changed and it’s ok to have your photos of your children online. It’s so ‘normal’ these days. Think of it this way, if you take your child to the park, mall, movies, etc…you see hundreds of people in public. To me that’s more threatening than a stranger running across a picture of them online. Does that make sense? It does to me! After all that…yes, it’s ok to do in my opinion but I do understand the concern. What do parents need to do in order to help shift the way young black girls perceive themselves and each other? I speak on this in my (coloring) book, CURLIES COLOR TOO…I think the most effective tool we has as mothers is to love our own natural hair. Young black girls look up to their mothers and other role models. If we show off our natural beauty and the love for our natural hair it will inspire them. I take so many pictures and post them all over social media in hopes that thousands will share my photos. And in turn it will reach more girls even if they weren’t looking for that inspiration. 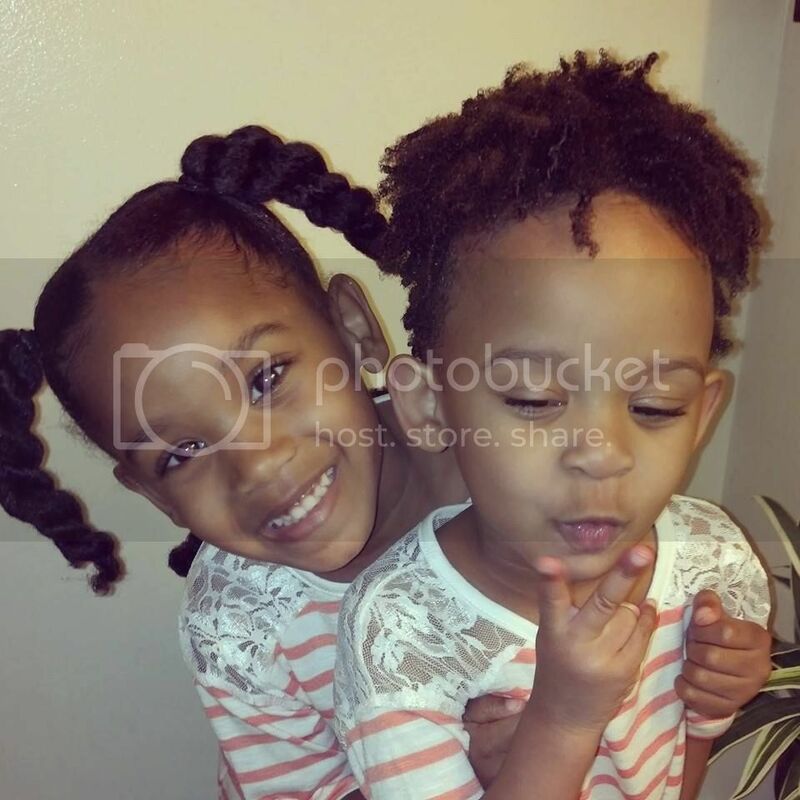 Taylor and Skylar love their natural hair because they see me loving it! I’ve started a new cycle in my household! They both know that natural hair is versatile and they choose when they want to wear theirs straight or curly. They love that they have the option of both! They are still young so they don’t know anything different but I’m sure as the years go by they will still love their natural hair! 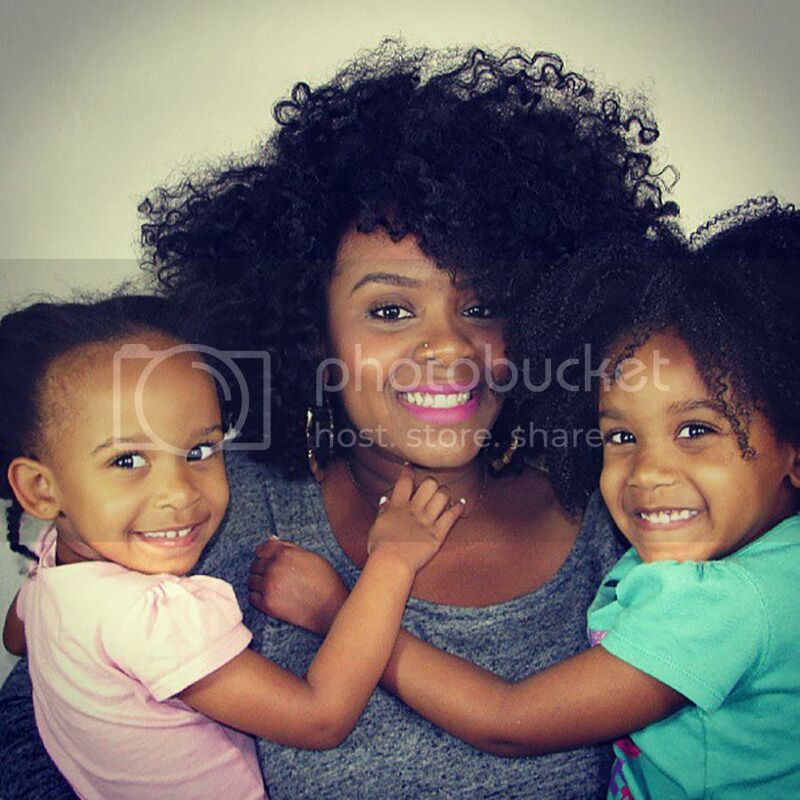 So Mommies show off that natural hair! And love it! In your tween/teen years did you ever struggle with self esteem? What specifically were your issues? Honestly, I did. I think most girls do. I’ve always been really petite but because I’m so short when I weigh 100 lbs I really look like I weigh 130 lbs! So I always had a problem with my figure. I was a cheerleader all through high school and in college and coaches always stress weight! I still struggle with it- I think about it every day, several times a day actually. And since going natural and putting so much time and effort to keep my hair healthy, I’ve recently had an epiphany that I need to put that same energy into my body to be healthy from the inside out! I’m glad that my focus is different now, it’s not just about weight – it’s about being healthy. And to think “natural hair” was the missing piece to the puzzle! Lol. Too funny right!? Another reason why, it’s more than just hair! Do you feel you’ve overcome your insecurities? If so, how did you do it? I talk too much, I think I answered that in my last response but I still have a long way to go before I overcome the figure insecurity. I don’t think I will get over it until I lose the weight, get fit, toned and healthy. I can’t wait until it’s no longer a struggle. I want it to come natural to me- a lifestyle change, ya know. I’m working on it! What best practices can you share on ways for parents to encourage their young girls to embrace their natural hair? Again, I think mothers need to love and show off their natural hair more and do it in a positive way. That will reach our children and many others. I feel great that I’ve been able to get thousands of people to think about rocking their natural or at least challenge their perception of natural hair. Also, having a fun hair regimen will keep it interesting for your little girls as well as versatile hairstyles. Additionally, having books, cartoons, and toys that resemble us, our hair will help as well. 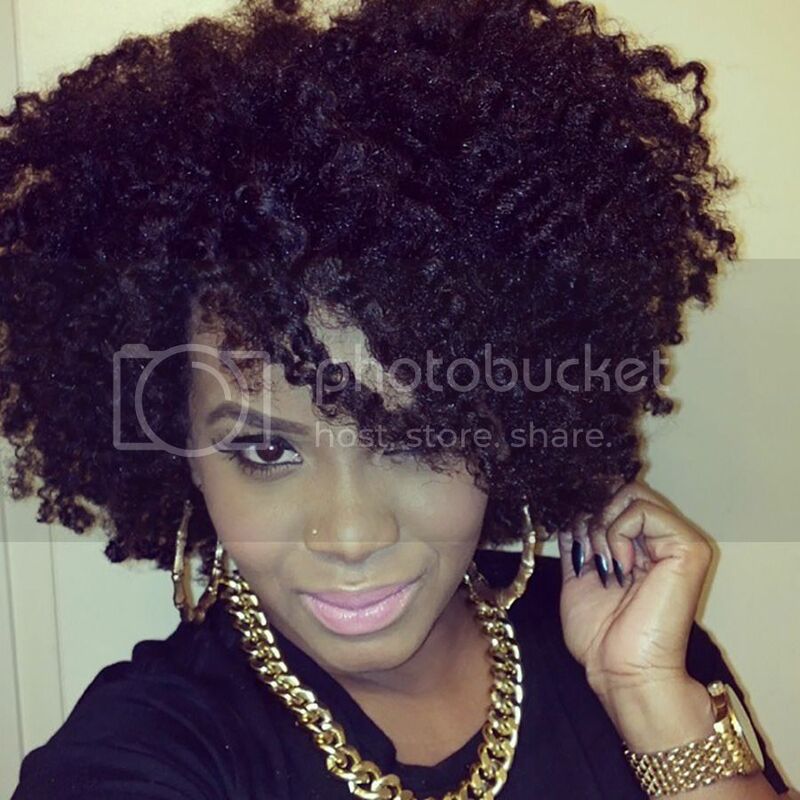 What age did you go natural? 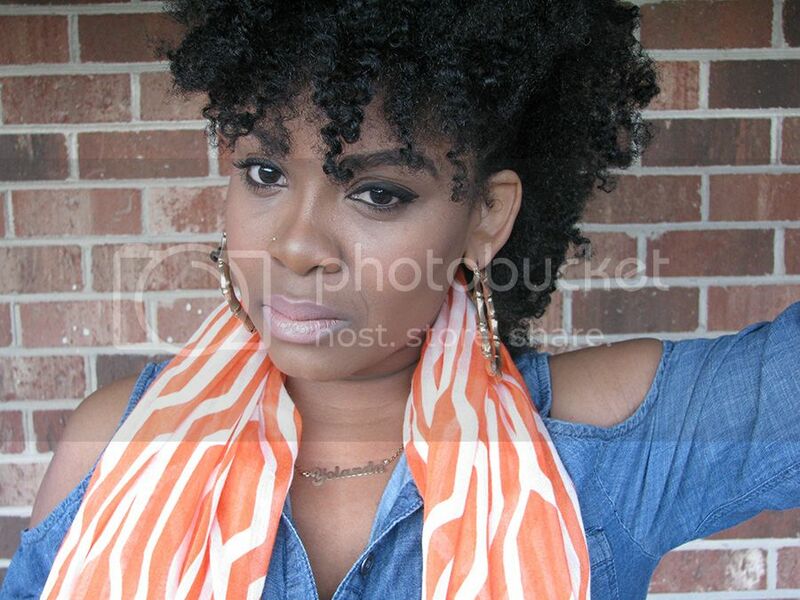 OMG, I went natural in May 2012! So I’m still newly natural. I’m still learning and I guess I’m still in the honeymoon phase. I’m loving everything about my natural hair. I won’t tell you my age but I will tell you my big chop was May 2012. Lol. What are your views on the “natural hair movement”? I have nothing but positive things to say about the natural hair movement and community! This movement will last FOREVER! There will always be someone out there that needs guidance to go natural, stay natural or maintain their natural. This movement is employing people! We have created jobs for so many people and we are allowing them to live their dreams. From natural hair gurus who are now partners with YouTube getting paid for their work, bloggers that have a huge audience, those who are creating their own products, event coordinators who get to have the best natural hair events, fashion designers, jewelry designers, hair stylists, and the list goes on. I’m a prime example of how powerful the movement is- I’ve been able to have my own growing channel on YouTube, start a blog/website, a clothing store, write a book, make event appearances, work with major brands like Carol’s Daughter, Dark & Lovely, Alikay Naturals and more! I’ve been able to work with amazing people like Jenell Stewart, Taren Guy, Jennifer Rose, Sunshine, tons of natural hair blogs & more! Some say it’s a trend and they are WRONG! This movement is here to stay hunty! And it’s going to get bigger and better one curlfriend at a time! What drew you into the natural hair community? Nothing really drew me in to the natural hair community. I kinda just fell in it! Lol. I randomly decided to go natural in November 2011. I used to wear sew in weaves all the time and one day I just made the decision there was no reason to keep getting perms if I was braiding my hair back up for the sew in. So I stopped in November and kept weaves in until May 2012. But after seeing my hair that last time I was shocked at the growth. It was crazy. So I started watching YouTube after my cousin Keena and friend Landy suggested to me. I saw several big chop videos and it gave me the courage to chop my hair off. Once I was natural things just got crazy- my followers grew hundreds by the week, then thousands. 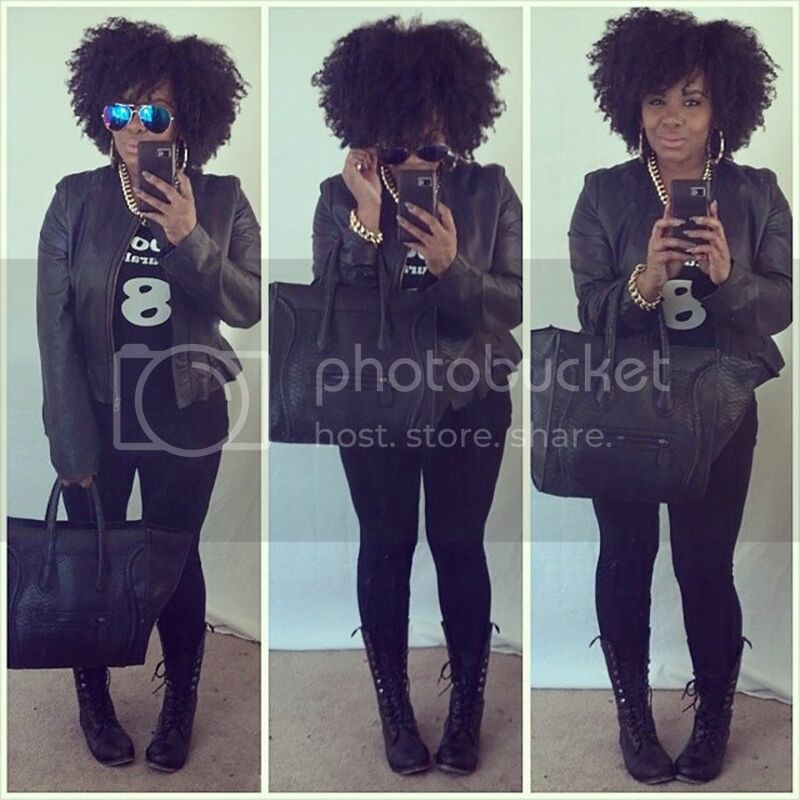 I’ve always been a selfie queen but once I got on IG that is when things went bananas- I had a target audience! 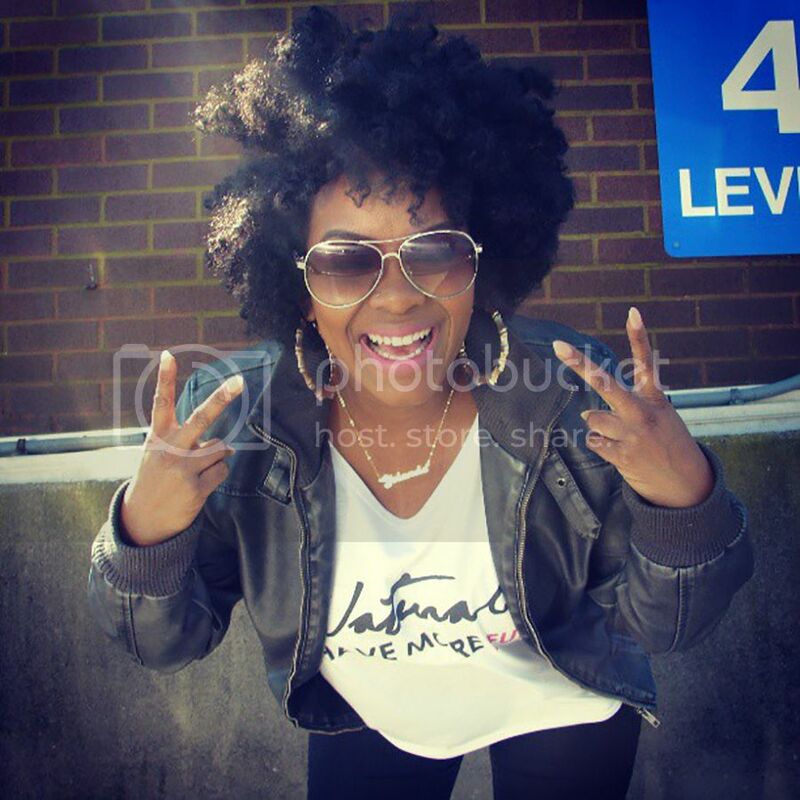 The love my curlfriends showed me is what pulled me into the natural hair community. I went natural for myself. However, I’m not sure how long I would have lasted if I didn’t have the natural hair community behind me. I inspire so many people on a daily basis that there is no way I can walk away now. That is another reason why I tell my curlfriends all the time they inspire me as much as I inspire them. And that’s real! Name three of your favorite YT channels? My fav channels are Ambrosia (I watch her videos more than once LOL), Jouelzy because that girl- I mean woman because she will text me later saying “chile I’m not a girl, I’m a woman!” LOL! That woman is hilarious and she keeps it real. And she represents for the 4C chicks! I love it! And then I would have to say my girl Jenell with her thick accent! Ha ha! I will always show that woman love because she is also another reason why I’ve been able to have a presence in the natural hair community. She showed me mad love when I first started and a lot of my curlfriends found me because of her. I love you Jenell! I am from the Eastern Shore of Maryland. I was raised in a small town called Denton, Maryland but I now reside in Salisbury MD which is like 15 minutes from Ocean City, MD. I plan on relocating soon though…I’m thinking ATL or NYC! It’s time for me to grow! Is this a trick question!?! Lol. I would have to say black…black is not a pretty color at all when you think of crayons but girl when it comes to fashion OMG I wear black like everyday! Loves it! Awesome interview! I love her baby girls, they are so precious! !